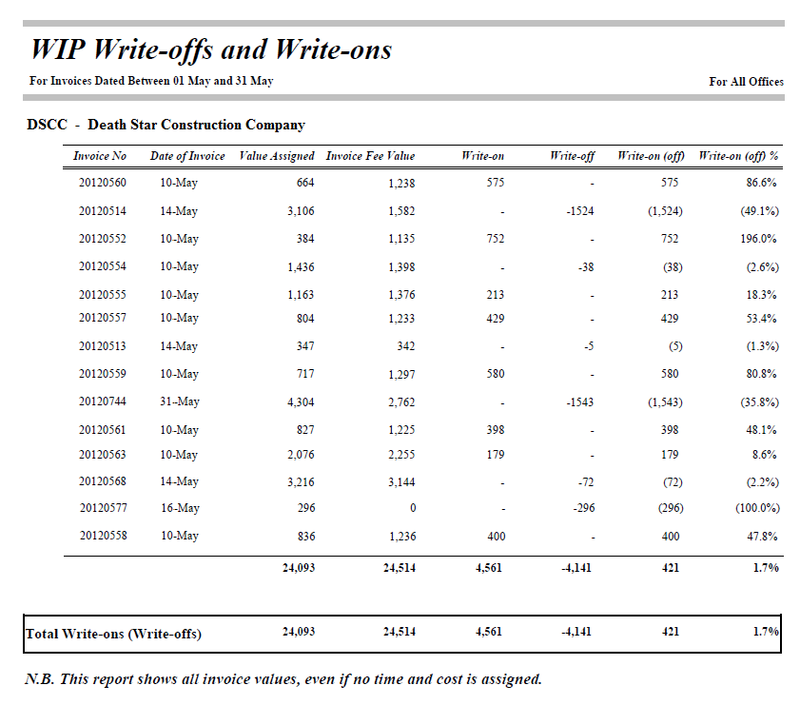 The WIP Write Ons and Write Offs reports show data between two dates, and the write on/off percentage. They’re a nice quick check to see ‘how you are doing’. Taken by permissions from a sample of our Abtrac clients we found that 2 out of 3 Abtrac firms only write-off between 7%-12%. On either tail of the distribution some of you often write-on and admittedly some will write-off more than 12%. This entry was posted in Invoicing, Performance Reports and tagged invoices, Prebilling reports, profitability, project status, reports, WIP, write offs by Jen. Bookmark the permalink.